Bottom line: If the film One Flew Over The Cuckoo’s Nest met TV’s Stranger Things — with cinematic touches that would have equally delighted Stanley Kubrick and Baz Luhrmann — you might begin to describe how Legion looks on paper. But make no mistake, this is an artful take on the comic-book antihero, a modern masterpiece of one man’s fluid personal story told in recollections of his young life that raises the bar for the entire comic superhero genre made for TV. Even if you hate the DC Universe and Marvel’s Avengers’ comic yarns, this story will strike a chord with you. Review: Dan Stevens of Downton Abbey fame seemed an unlikely lead for anything related to the Marvel cast of characters. 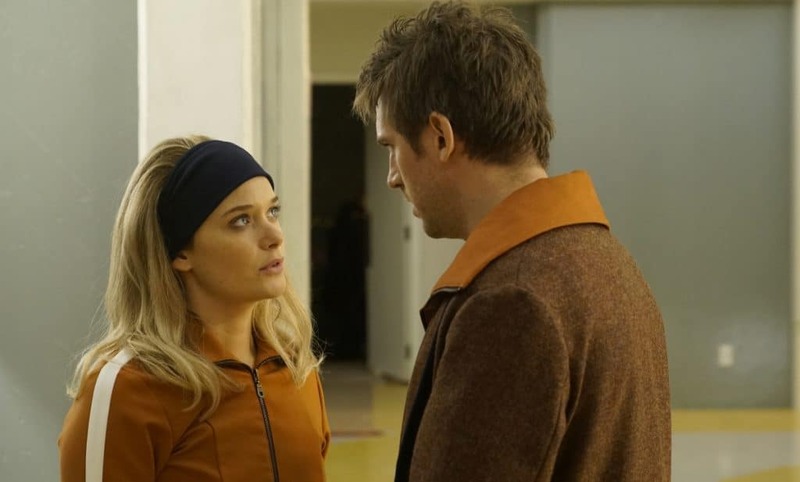 Fortunately for us, gifted showrunner Noah Hawley has painted a totally un-superhero and marvelously upside-down and right-side-up world for Legion, where time periods melt into each other. We are both drawn inside David Haller’s (Stevens) mind and walk his backwards-to-the-present journey with him while he’s housed inside Clockworks psychiatric hospital. This psychological sci-fi tinged thriller is also a drama, and it teases the mythology of the mutants of X-Men, but we won’t be seeing Patrick Stewart in this leg of the story. Hawley, of course, created a masterful smallscreen anthology version of Fargo for FX inspired by the Coens’ eponymous film — and made that story a rip-saw of time periods and interwoven characters at different moments in their lives. A similar effect works here in Legion as we can surmise by hairstyles, clothing and overall decor that David is deep inside his memory bank; finding it hard to differentiate between imagined conversation and actual events. We are left to draw our own conclusions from the perfectly framed opening montage of baby David growing up. The Who’s Happy Jack percolates us into his more harrowing older years as later scene flashbacks are set to some jarring staccato jazz and tense violins as he looks to be suffering from severe schizophrenia. In fact, he is officially diagnosed as being schizophrenic. So, as we watch in the beginning, we wonder if David is unreliable to tell us his story accurately, perhaps he is full of faulty recollections? Stevens fills David with such a wide-eyed range of emotion, fear to joy and then frustration, it is hard to tell initially. David takes us viewers on an odd and romantic rollercoaster ride. From under-the-bed demons like a yellow-eyed grotesque Devil stalking him at every turn to the thunderclap of love at first sight with beautiful and damaged Syd Barrett (Rachel Keller). Keller’s Syd is perhaps purposefully named for the infamous late Syd Barrett, of Pink Floyd fame, who was called that “crazy beautiful diamond” by the band in a tribute song. Stevens sells it and makes us feel he is far from a textbook DMI mental case. But what he is exactly we cannot easily decide until the end of the premiere. Even then we do not know the full extent of his range of powers. The cinematic level of editing and camera work pulls us deeply into David’s life. We see his fears and his interactions with Syd and his effervescent and loquacious buddy in the hospital, Lenny (Aubrey Plaza), in scenes bathed with eye-popping hues and mosaic and tiled effect shots that are both nuanced shadow and colorific and brightly lit. There are endless beautifully lensed frames filled with action and effects that blow you away. Hawley also does not exploit the framework of David’s purported mental illness and proposes that the POV of normal is in the eye of the beholder. He treats the entire conversation about this touchy subject as deftly as he could while painting a fantastical yarn about a young man who is trying to understand how his mind actually works. The frightening twist is that he’s not the only one interested in how his mind operates. Hawley deftly reveals the uncomfortable moments and the stigma of David’s diagnosed mental illness in a perfectly wrought scene with David’s older sister Amy (Katie Aselton) visiting him on his birthday, a cupcake and sparkler in hand asking blithely if the hospital had plans to celebrate his birthday. “It’s just Thursday…” David deadpans. With any good mutant story comes the requisite nefarious government forces holed up inside a cavernous and unlikely facility whose ambiguous intentions are driving the subplot that David — our assumed “mental patient” — is not yet made aware of. As for the other crafts, the choice of songs is brilliantly done. Kudos to the music supervisor and sound crew who paint this story with poignant aural layers complementing the dramatic visuals in giving us a strong sense of compassion and wonderment of David’s tortured and interesting existence. This series utilizes sound and music exceedingly well as the disorientation not only is experienced by David, but by the viewer who feels these uneasy feelings of personal power being taken away from us. The score tastefully captures the isolation of mental illness and the specter of big brother tracking our every move. 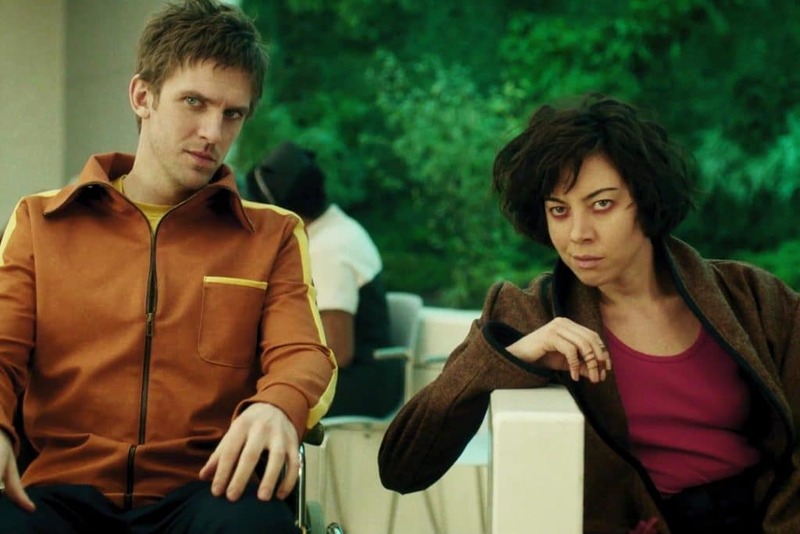 Legion is one of the finest examples of adapted material keeping to the intentions of the original story while delivering an even better one — a richly painted drama that will keep the interest of those who may skirt the entire genre. This is not to be missed. Add to that the pure alchemy of David and Syd’s burgeoning love story with a cracking good cast of supporting actors including Fargo alum Jean Smart, a brilliant turn from Aubrey Plaza, plus Katie Aselton, and Bill Irwin, you just won’t be able to stop watching. 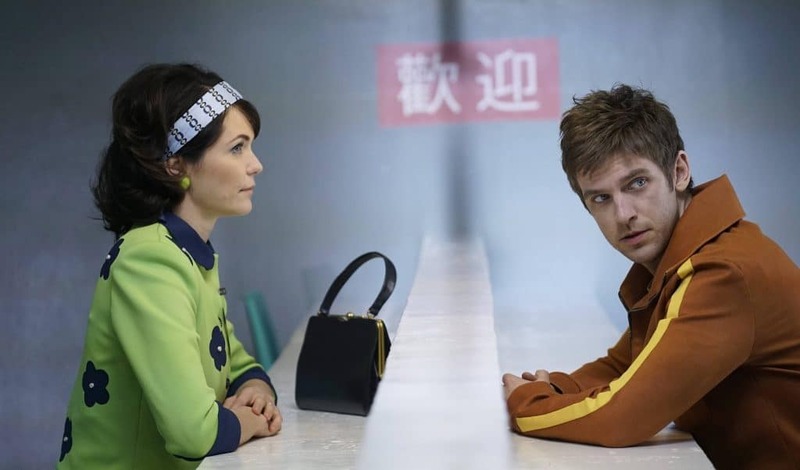 Legion premieres tonight, Wednesday, February 8 at 10pm ET/PT on FX.